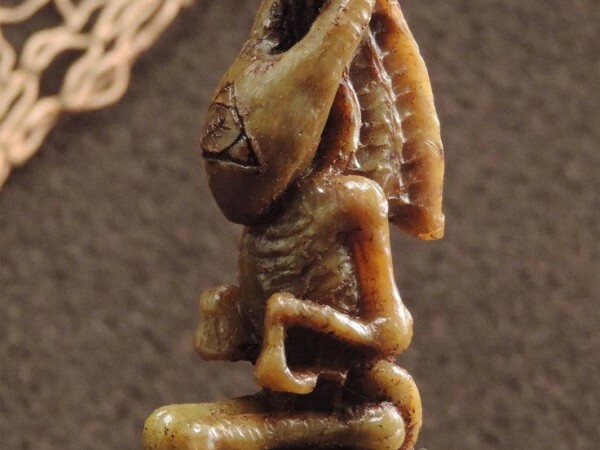 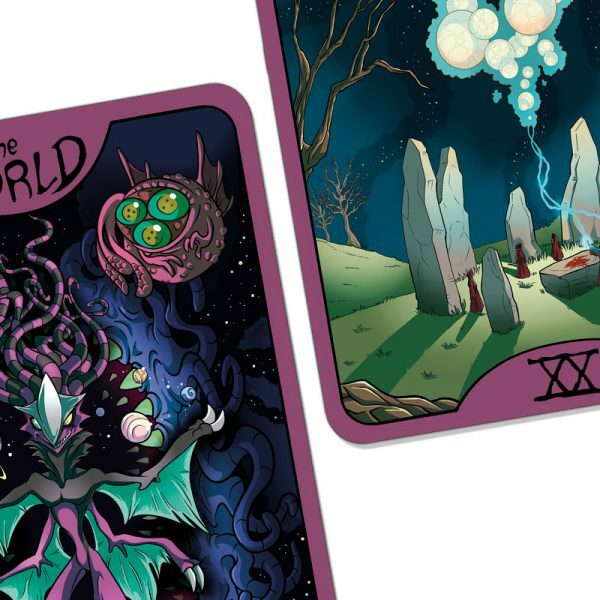 The Major Arcana are the foundation of the Tarot, consisting of 22 universal archetypes beginning with the Fool and coming full circle with the World. 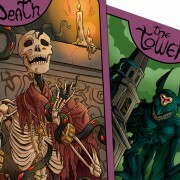 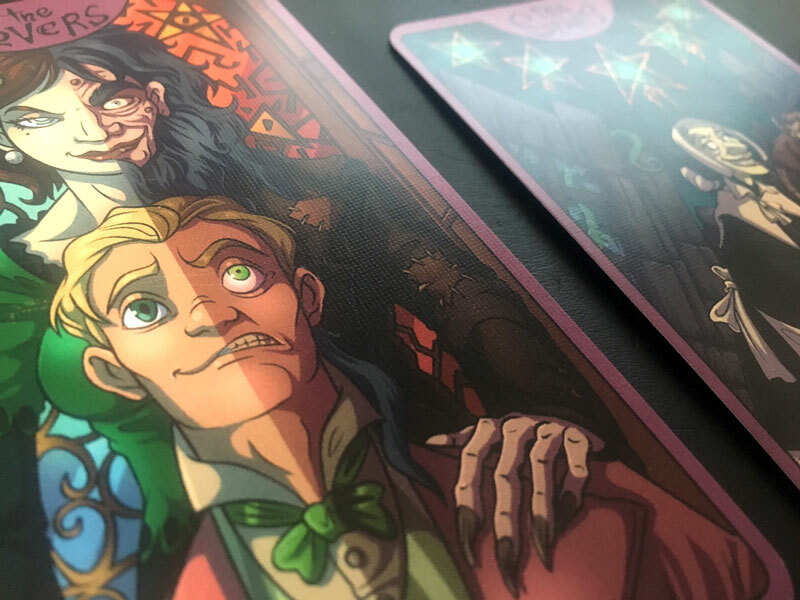 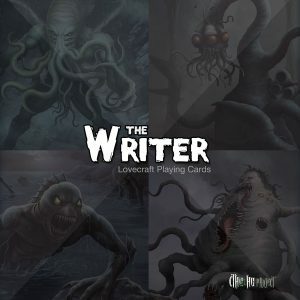 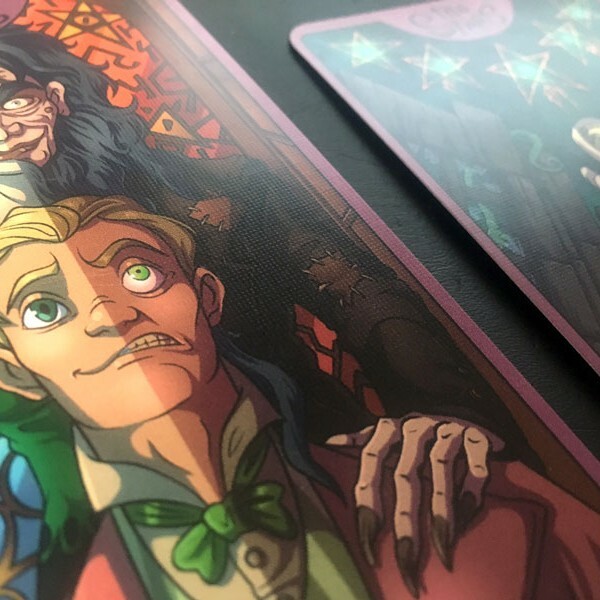 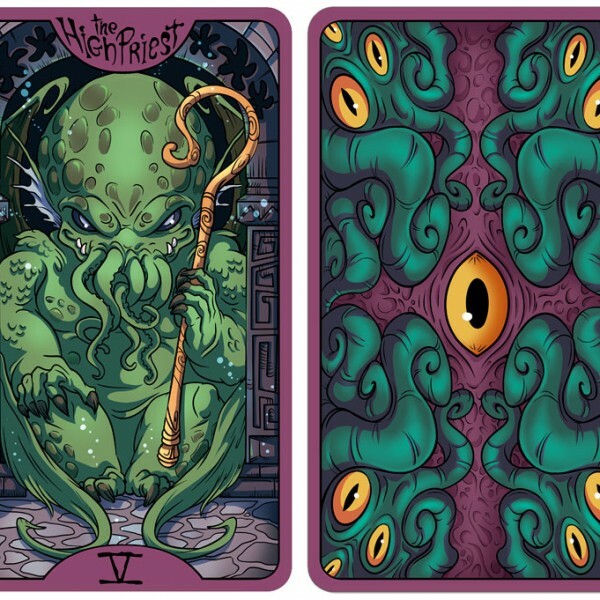 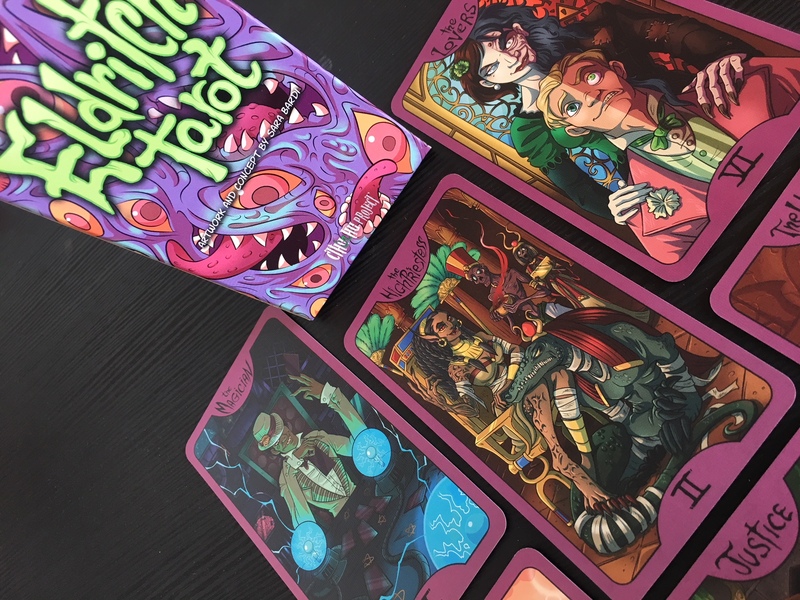 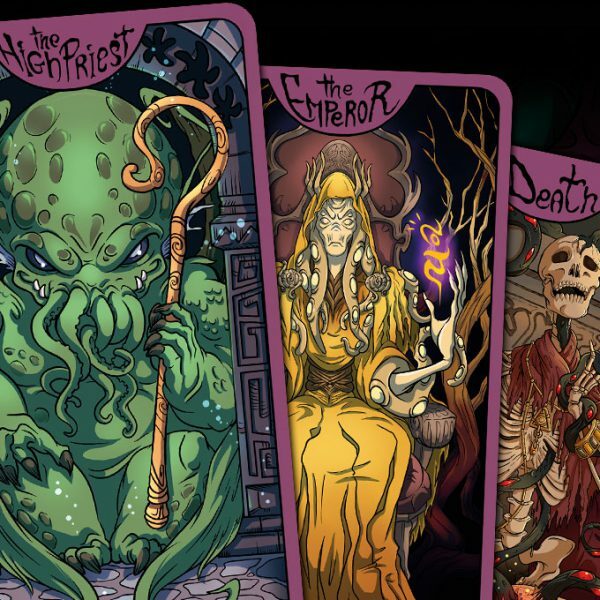 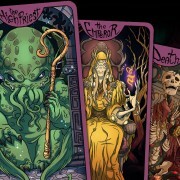 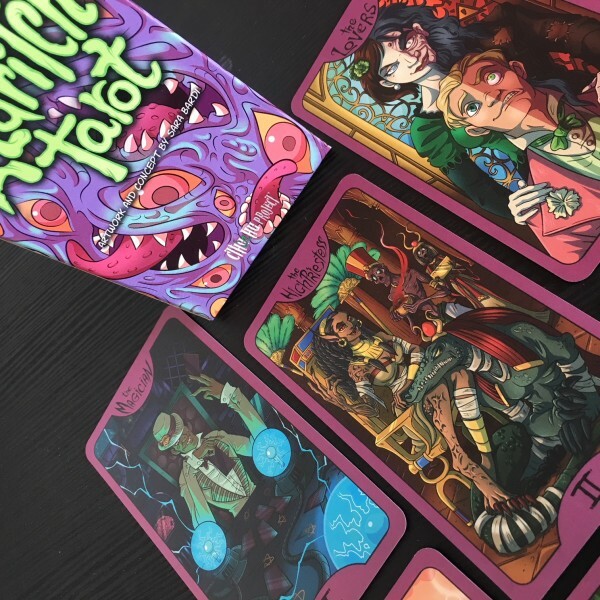 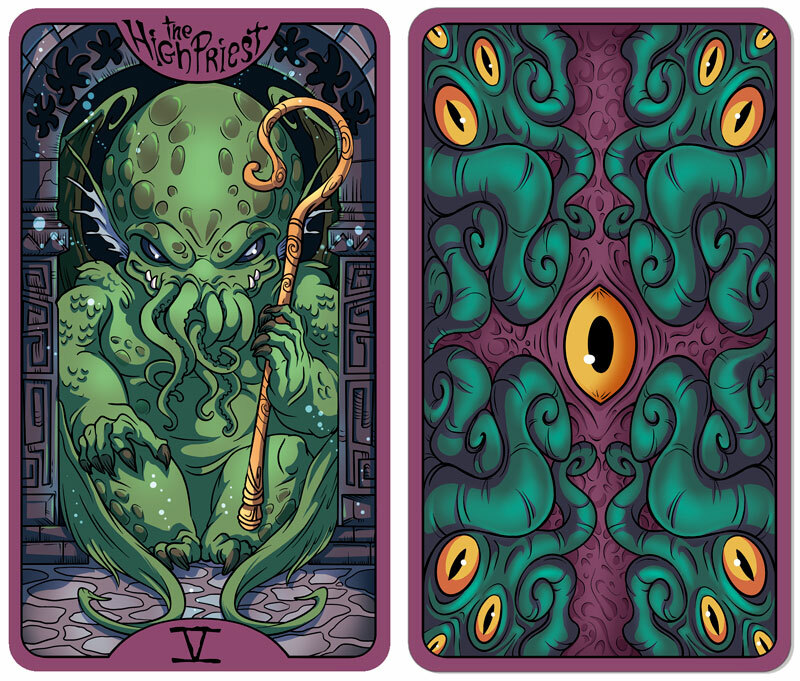 The Eldritch Tarot is an interpretation of these archetypes in the Lovecraft world, created by Sara Bardi for the Lovecraft cards collection. This deck is composed of 22 cards (70x120mm / 2.75×4.75″) printed on high quality 310gsm european paper with linen finish, this is the purple unlimited edition. 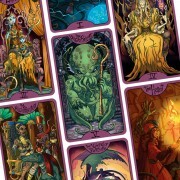 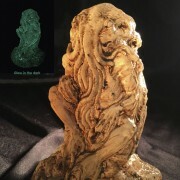 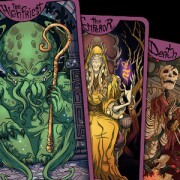 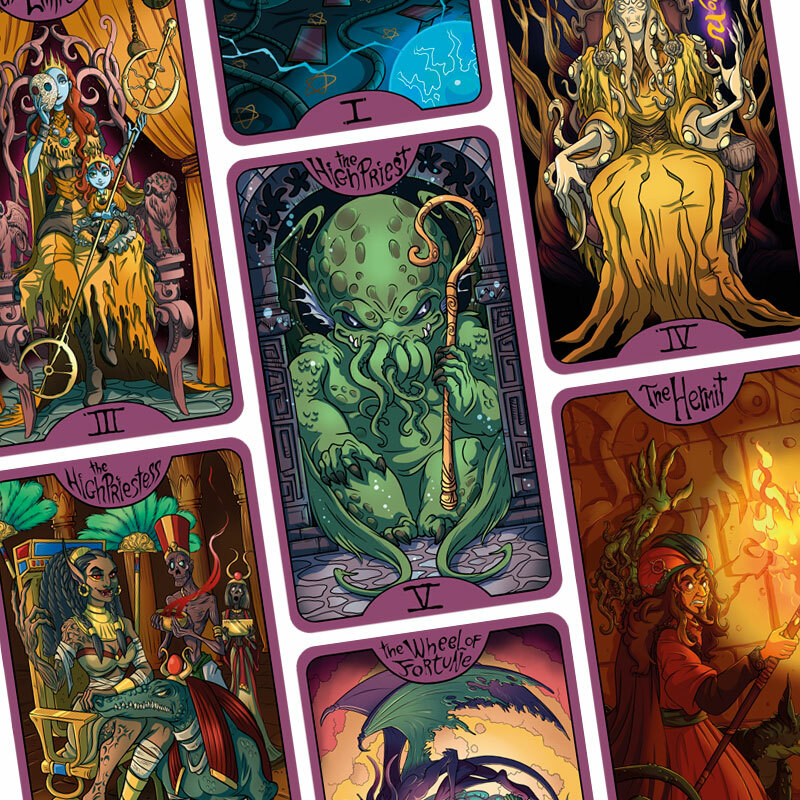 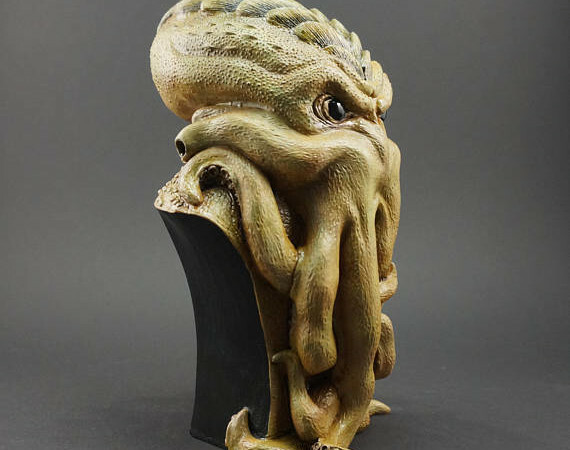 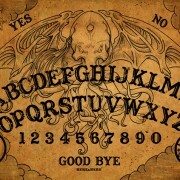 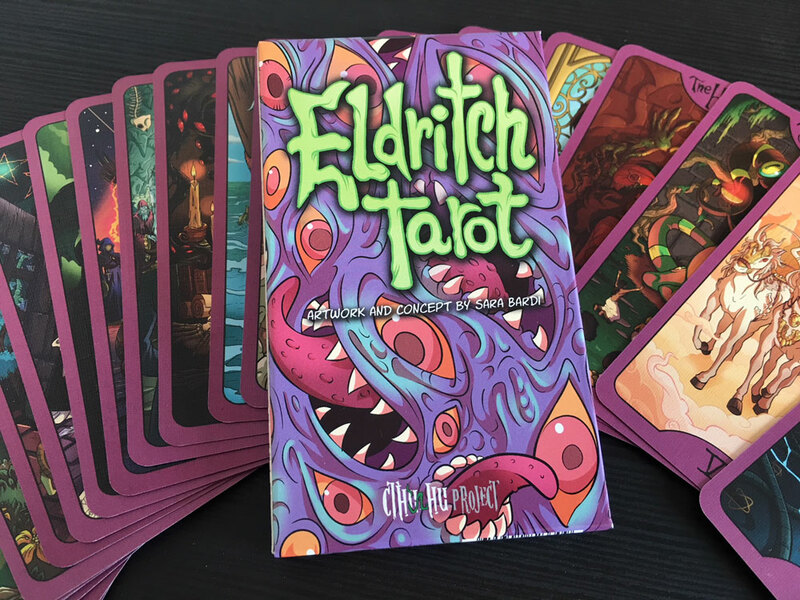 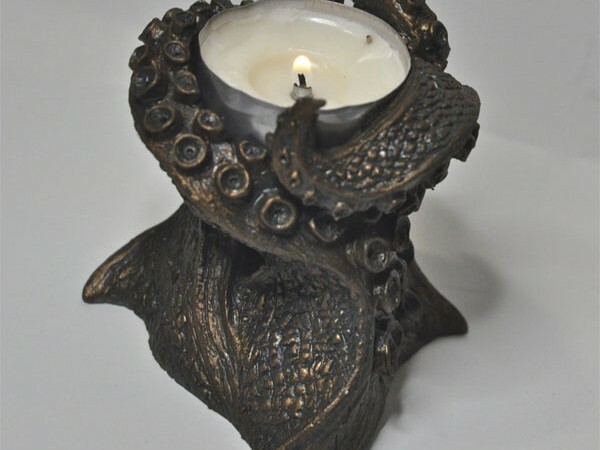 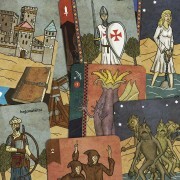 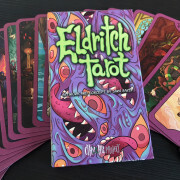 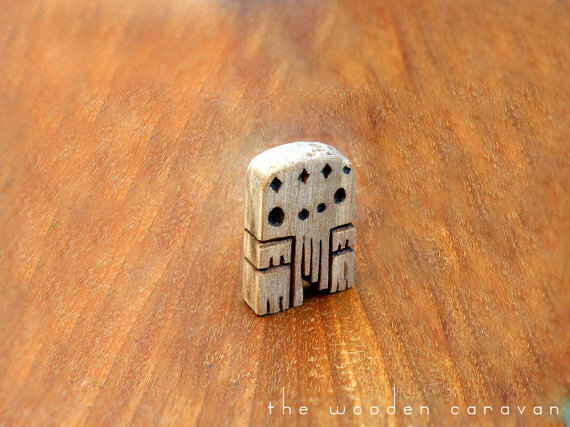 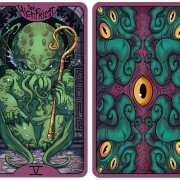 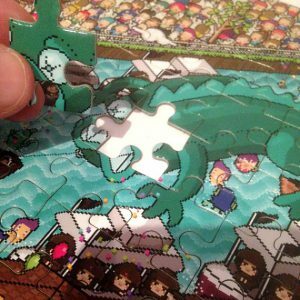 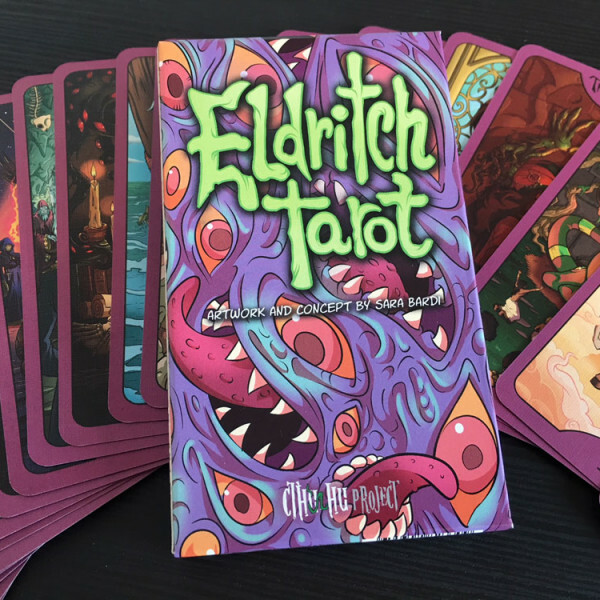 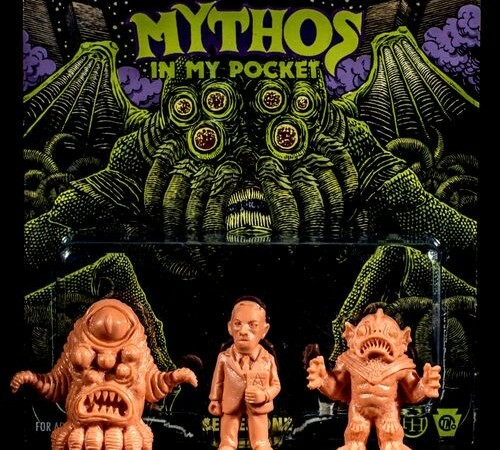 SKU: eldritch-tarot Categories: Board Games, Tarot & Occultism Tags: Cthulhu, sara bardi, tarot Brand: Cthulhu Project.